SALTAIRELIVE – Bringing the best in folk and celtic music to Saltaire. – Bringing the best in folk and celtic music to Saltaire. SALTAIRELIVE - Bringing the best in folk and celtic music to Saltaire. 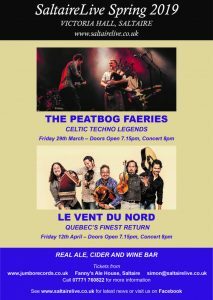 Hope many of you were able to be at the brilliant concert that the PeatBog Faeries gave us last Friday – really superb – and there are now just 3 days to go until we welcome Canadian legends “Le Vent du Nord” back to Victoria Hall. They have been getting rave reviews from their concerts on tour to date, and we can’t wait to hear them on Friday. Doors open at 7.15pm on Friday, and there will be tickets available on the door – but we expect to be busy, so if you want a seat near the front, you should try and come early. It’s a mainly seated concert, but as always with room for dancing in front of the stage. The concert starts at 8pm. 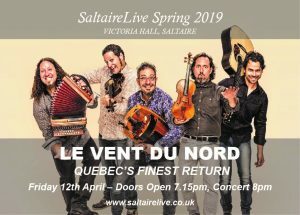 See you all at Victoria Hall for another great evening’s entertainment with Le Vent du Nord and Saltaire Live. We are really excited that we are now only 24 hours away from the first Saltaire Live Concert of 2019 – and we know that the PeatBog Faeries will have Victoria Hall jumping, Jigging and rocking with their brilliant music and show. If you have not bought tickets in advance, don’t worry, we will be selling them on the door, and you will definitely be able to get in. Doors open 7.15am, Concert at 8pm. However, we are all still here, and up and running and ready to go for 2019. We have 2 tremendous Gigs planned at the moment, both firm favourites of Simon’s at Saltaire – and we are delighted that they will be joining us this year. 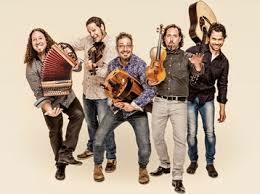 ***Friday 12th April – The amazing Vent du Nord from Canada. Hope to see 2 packed house for 2 brilliant vibrant and hugely entertaining bands!! We will be making announcements about other bands for the rest of the year in the near future. Best wishes to everyone – see you in Victoria Hall. Saltaire Live Returns – Thursday 27th September!! We hope that you have had a great summer, been to lots of festivals and had loads of fun!! We are very sorry for the lack of communications and information over the Summer – and thank you to everyone who has made enquiries about future concerts. There have been a number of hurdles to overcome, but we have now negotiated these, and we are delighted to be able to announce that we have managed to persuade Dervish to include Saltaire on their forthcoming tour, and they will be playing at Victoria Hall on Thursday 27th September. 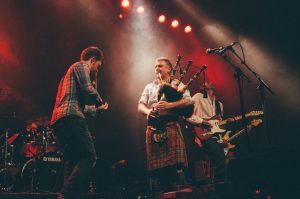 We are delighted that one of Simon’s all time favourite bands (as you will already know if you attended the memorial concert in May, are able to come back with their wonderful and varied away of amazing Celtic Music. There will be the usual bar facilities, and the opportunity to dance, as well as plenty of seating. Tickets are £16 in advance from any of the following outlets. You can email us with your ticket request, and we will acknowledge and send you an email with payment details. This email will serve as your confirmation once your payment has been received. Please email rob@theheggers.com. If you need any advice or help, please call Rob on 07771 760822. There will be a new website and ticketing arrangements for 2019 – we have had to hold back on developing these whilst we have been getting other issues sorted out. We are looking for other suitable bands for the November / December period, and also early 2019. This is not easy given that most bands schedules are done 9-12 months ahead, but please watch the website for more details, and we will be sending emails to everyone. Hope to see you all on Thursday 27th September for a cracking night of Celtic fun with the legendary Dervish. We are delighted to be able to announce that the following artists are very kindly coming to play and commemorate Simon after his funeral on 17th May. ** Bella Gaffney – from Bradford – has played at Saltaire several times as support. Simon was effectively mentoring Bella, and took her to Celtic connections in 2016 where she won a prestigious award. (http://www.bellagaffney.co.uk/) We are delighted that someone who Simon had helped develop their career will be performing. ** Jon Boden – those of you who were here for the first concert after Simon left us on 27th April will know how brilliant Jon was that night – and we are delighted that he is coming back to sing some solo numbers – what a top man he has been throughout all this – Simon first put him on over 10 years ago at Saltaire – in the pre-Bellowhead days! ** Salsa Celtica – one of Simon’s all time favourites. Some of the band are in Cuba, but their leader Toby is putting together a line-up that we know will raise the roof. Those of you who saw their amazing Christmas gig at Saltaire in 2016 will know what a treat we are in for…..
** And finally, but of course by no means least – it is absolutely brilliant that the full Dervish line-up is coming over from Sligo to say farewell to Simon. 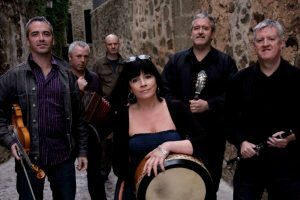 Simon not only put Dervish on many times at Saltaire, but he was their manager in the UK, and he has a full tour planned in September 2018 for this brilliant group of musicians, who are even nicer people. Cathy Jordan will also be singing a Celtic hymn during Simon’s funeral. If you cannot get to URC Saltaire for the funeral at 1pm, then please join us at Victoria Hall from 4pm for the reception, and the concert will start at about 6.30pm. All Simon’s friends and people who loved the music he put on at Saltaire are very welcome to all of the day. It would be very helpful if you could either indicate you are coming on here, or email to simon@saltairelive.co.uk. We don’t want to run out of food – and we definitely will not run out of beer and wine. Love to you all, and let’s give Simon the send-off that he really deserves. 6.30pm Celebration concert for Simon at Victoria Hall, Saltaire – we will confirm the bands / musicians closer to the time – but you will not be disappointed!! Venues / options for guests for the interval between the Funeral Service will be provided in due course. Please let us know if you are coming!! We expect that a lot of people will want to come and say goodbye to Simon from the many areas of his diverse life. In order that we can plan for overall numbers as much as possible, please could you email your name(s) and number of people planning to come to simon@saltairelive.co.uk This will feed straight through to us. 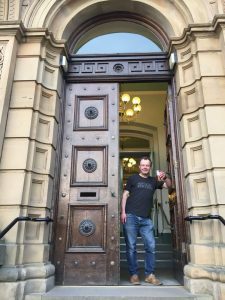 It is with the deepest regret and sadness that we have to tell everyone connected with Saltaire Live that Simon, who founded and ran Saltaire Live, tragically took his own life on Friday 20th April. Simon had suffered from increasing bouts of severe depression for over 20 years, although as we have found out over the last 48 hours, he was very good at hiding this when he was dealing with all matters related to his great love, which was of course Celtic Folk Music. This is not the place for a long tribute or discussion re Simon, but he is at peace now and no longer having to continue to battle with this awful and cruel disease. Simon’s family, executors and friends in Saltaire would like to run the next 3 Concerts in both Saltaire and York that are shown below in his memory, so the concerts will go ahead as planned. We hope that the many people who knew and loved Simon, or simply like the music and bands that he worked with, will come and join us at one or more of these events. PLEASE DO NOT ORDER VIA THE SALTAIRE LIVE EMAIL ANYMORE. · Tickets can still be obtained at Fanny’s Ale house or Jumbo Records for this Friday’s Saltaire Concert with Jon Boden and the Remnant Kings, or they can be purchased on the door. See the ticket section on this site for details. We will try and advise everyone if we reach capacity before Friday evening. Thank you to everyone at this difficult time. A great sadness, but we hope that you will come and celebrate all the great parts of Simon’s life at one of these three events. Another band for whom it’s a little too soon to return to to Saltaire after their 2017 appearance, Show of Hands also make the move over to York this spring. 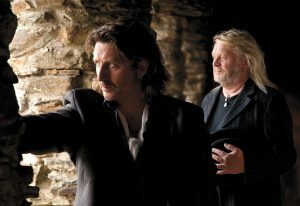 On their “Where We’re Bound” tour Phil Beer & Steve Knightley will be playing as a duo. Despite the name of the tour, they will actually be casting their eyes backwards, focussing on material from their early albums, which featured familiar songs that have gone on to become Show of Hands classics, and a rich vein of forgotten gems. Show of Hands weave story and melody to create spellbinding shows and this show celebrates the duo’s enduring impact on roots, folk and acoustic music.. Opening the show will be Steve and Phil’s special guest, fellow Devonian Geoff Lakeman, forefather of the prolific Lakeman tribe. Tickets will also be for sale on the evening of the concert on the Door. Based in Glasgow, but playing primarily irish music, Imar are gaining a reputation as the hottest new property in Celtic music. Step well back as Imar light the touchpaper – this is a band we can all expect to hear a lot more about in future. Outstanding violinist Dan Cassidy, with an evening of hot tunes & gypsy jazz to capture the effervescent spirit of the Swing era. Brother of the late Eva Cassidy, those who were there for Dan’s last visit will attest that the musical talent was not confined to his illustrious sister, but widely shared within the family. © 2019 SALTAIRELIVE - Bringing the best in folk and celtic music to Saltaire.